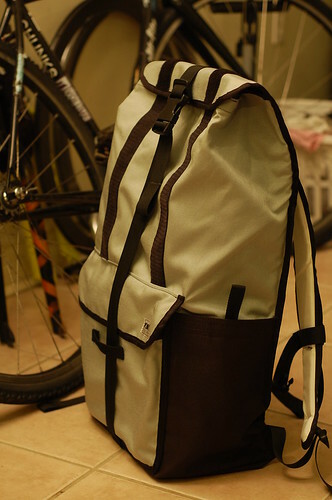 The YNOT Gulper, I picked one up yesterday while I visited Tom at the shop, and I gotta say that this bag has already made my life easier! 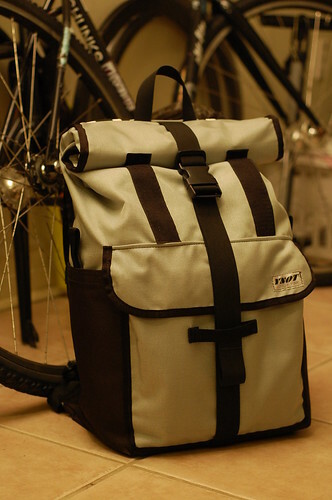 I've only used the bag for half a day now, so I'll keep this short and sweet with my first impressions of the bag. 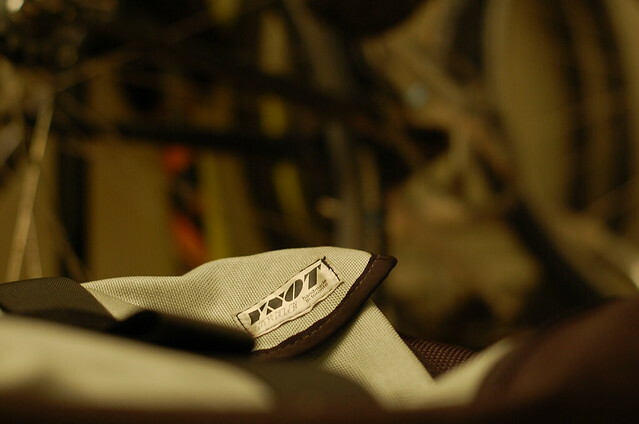 The design of the bag is quite simple, so it maintains that look: simplicity. There's no unnecessary straps/buckles/flaps/you name it. What you need is there, what you don't need, isn't. The top rolls down (you can also just flip it down as well) and velcros into place, then there's a single buckle down the middle. If you're in a mad hurry, you don't even have to buckle it down, the velcro will keep it in place. You can slide the buckle up and down so you can venture back and forth between rolling the top or using the top as a flap. 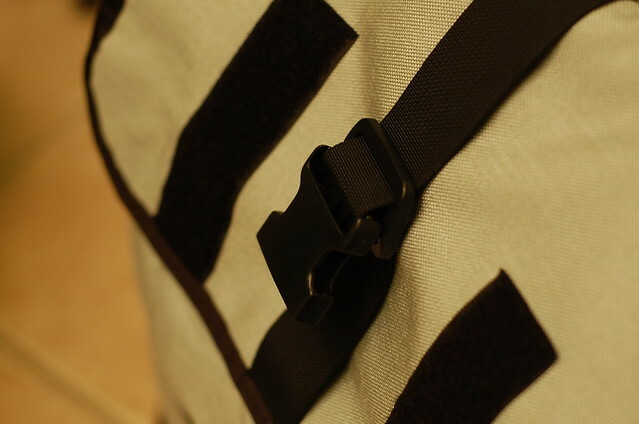 As you fill your bag with stuff, the top expands like so, and you can just extend the buckle strap to accommodate the expansion. It's really handy if you don't have time to reorganize your entire bag every time you add more stuff in it. I went grocery shopping yesterday, I literally stuffed things on top of each other and didn't have to worry about things getting squished because the top just expanded with the stuff I put in the bag! 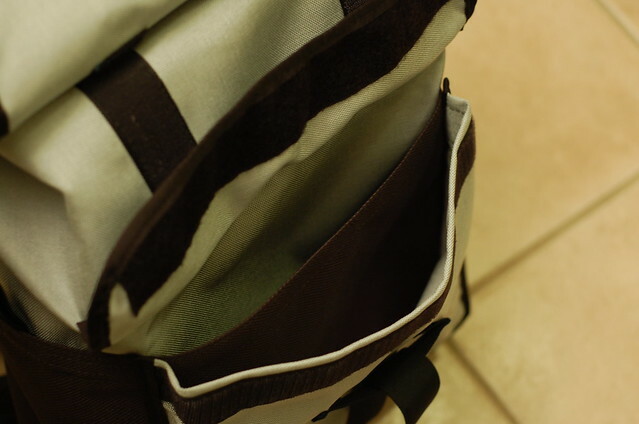 The front pocket is divided into two sections so you can compartmentalize your belongings. The inner bucket is very spacious, next time I stuff a bunch of things into my bag I guess I'll take a picture of just how much can fit! 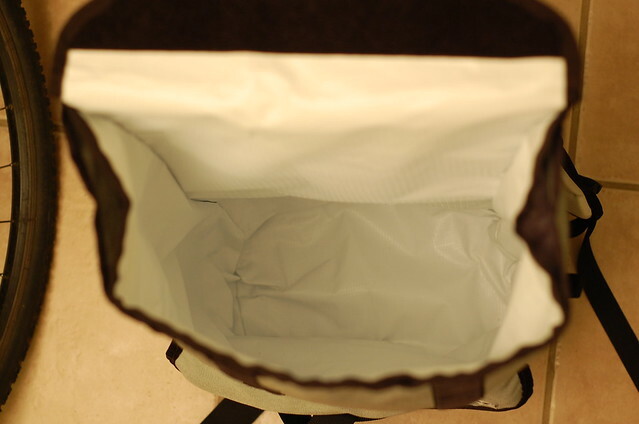 I can tell you though that I fit a bunch of grocery in there yesterday, along with my laptop, novel, text book, notebook, camera equipment, and tools pouch. And that was just piled on top of each other, I could fit WAY more if I had organized them like tetris! 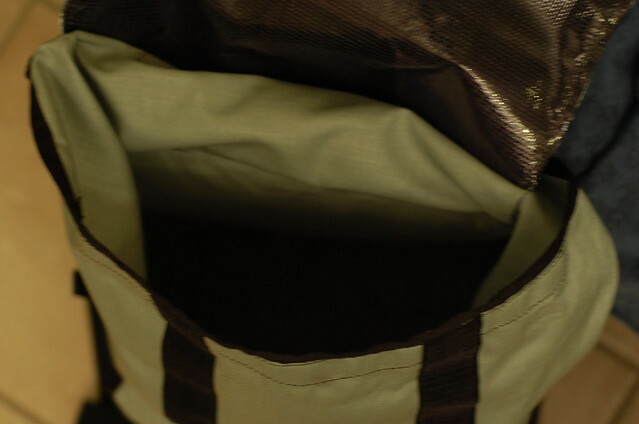 The inner bucket is held in place by a seam by the flap, and velcro on the opposite side. What this means is that there is no seam between the outer bucket and the inner bucket. They're separate. Simpler terms? Water proof. If the water somehow penetrated through the seams of the outer bucket, the inner bucket is separate and still completely dry. This combined with the fact that the top is rolled or flipped down with no opening up top, I don't see myself worrying much about my belongings in the main pocket. Laptop/camera/school work, I'm pretty sure they'll stay dry! You can also stuff "not so clean" things in between the inner/outer bucket space as well. I kept my tool pouch in between there yesterday and it was out of the way while I didn't need it. You can throw your sweaty shirts in there, wax, garbage, things that might explode!! This allows you to completely separate the things you don't want to be hanging out together. 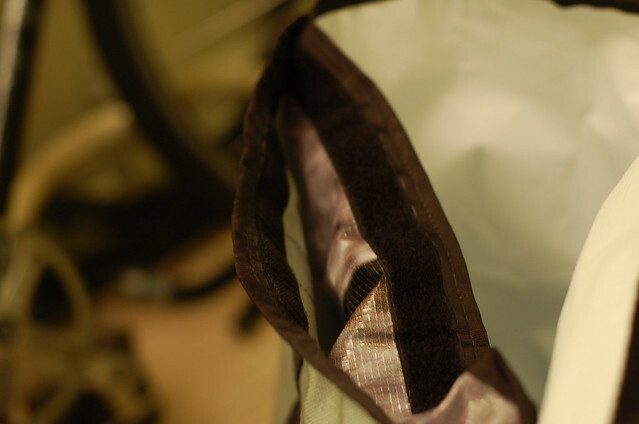 My old Dakine bag has seen better days, and over the years it has worn the crap out. It doesn't even hold its shape anymore, it has rips on the bottom and the top so any bit of rain ruins my belongings inside.. 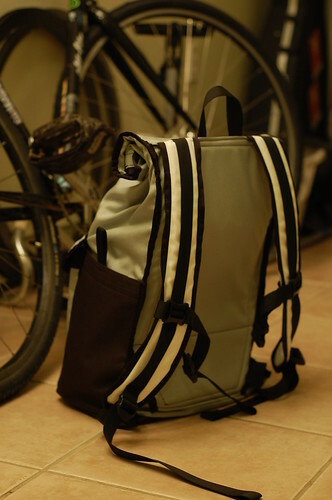 This bag sits very nicely on my back and feels very stable! If you want to order one, I'm sure you can do it through YNOT or Tom, by emailing them for the time being. Excellent to read. Thanks for the review. I'm hoping to go see Tom and pick my Large Gulper as well.